Today I got another kind of dozy one for yall. This one will pull at your heart strings, but in a good way. It makes you want to be a better person and shows you that no matter what happens in your life you can do anything you set you mind to. 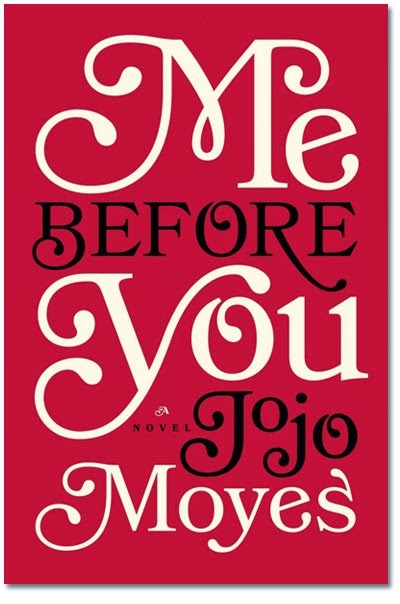 "Me Before You" by Jojo Moyes, is inspirational, moving, funny, and is just all around a gauntlet of emotion. Lou is your ordinary girl, trying to help her family and figuring out what's going on with her boyfriend. Will is a cocky, arrogant man and still is even after his accident. Put these two together and you got a beautiful story. 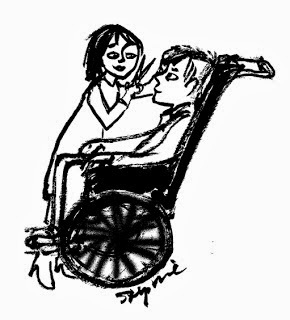 I won't tell you what happens or why it's a beautiful story, that you have to figure out yourself. There might be a time or two when you want to cry or hit one or both of the characters, but to me that is when you know the book is worth the time it takes to read. Hope you give this book a chance and you will want to go in with an open mind as well as an open heart.